Limited-time offer (LTO): LTOs spark excitement and a sense of urgency in consumers, and are a great way to bring attention to your brand. Get in touch with us to find a unique LTO offering that will attract both current and new customers and elevate your brand value. Sustainable lineup: Every coffee we buy is sourced through our globally recognized Relationship Coffee sustainable sourcing model. If you're elevating your sustainability standards, look no further than our transparent supply chain for coffees with traceability and an inspiring story. 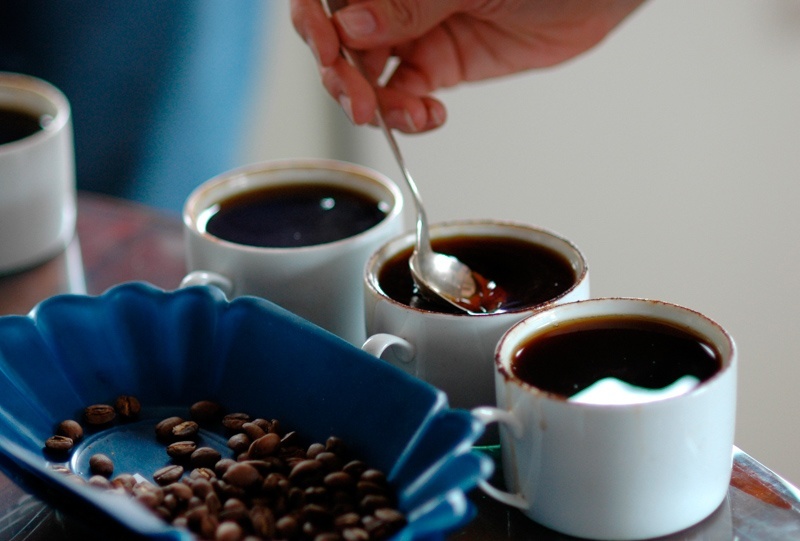 Value specialty blend: Putting together blends that meet your quality, volume, consistency, sustainability, and price expectations can be a challenge. We leverage our supply chain data and sourcing expertise to work with brands to create blends that taste delicious year-round and meet your standards. Women's Coffee Line: Women power coffee production around the world, yet rarely receive the comepensation and recognition they deserve. Women-grown coffee lines provide a means to celebrate the hard work of these women and support their livelihoods. We work with inspiring women's cooperatives and growing collectives throughout the coffee producing world, and are ready to fascilitate a partnership between your business and farmers who grow the perfect coffee your own women's coffee line. With ready-to-drink beverages growing in the marketplace, cold brew on the rise, and coffee ingredients as essential as ever for so many food products, coffee is frequently found in products beyond the traditional cup. That doesn't detract from the need to responsibly source a high-quality coffee, however, and our supply chain is well equipped to fulfill a wide array of product needs. Ready-to-drink (RTD): We are well-versed in sourcing consistent coffees for national RTD brands and growing companies launching their first RTD product. We'll work with you to identify the perfect flavor profile for your product and connect you with growers who consistently produce great coffee in the volume you need. Cold brew: Cold brew requires a different approach than traditional brewed coffee product development. We'll work with you to find the right coffee for your unique cold brew profile, whether it's a component of a blend or a stunning micro-lot for a single-origin cold brew. Coffee ingredients: Sourcing coffee for ingredient use dates back to our founding—one of Sustainable Harvest®'s first customers was Ben & Jerry's, and we still source coffee for their ice cream to this day. For over 20 years, we have worked with a variety of major food companies, connecting them with sustainable supply chains that are all-too-frequently absent from the ingredient marketplace. We are experts in flavor analysis and look forward to collaborating with you to find the perfect coffee ingredient for your product, whether it needs to be in green, roasted, or soluble form.